I recently ordered a copy of Relationship Marketing, a book by Steve Thompson, who happens to be a seven figure income earner in the network marketing industry. One of my mentors suggested this book, so I ordered a copy from Amazon. The book was so good I read it in one setting. And then I re-read it again. 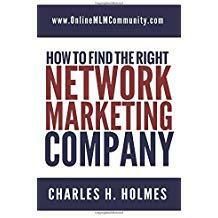 The book is one of my top ten favorite network marketing books of all time and I highly recommend it to every network marketer I talk to. Overall, I give it a 10 of 10. What I want to do in this post is share a few of my favorite quotes and lessons from the book. Each one of his quotes are in bold and italics. I will provide my insights after each quote. The lessons are listed in no particular order. # 1 One important thing I learned was to check the backing of the company very closely. The company you choose to partner up with is VERY important. Do your due diligence and learn everything you can BEFORE you get started. The more you can find out the better. Read more about how to evaluate a MLM Company. # 2 The only way to accumulate and grow wealth is to become personally more valuable and to give that value to others in exchange for wealth. It’s true, we get paid for the value we bring to the marketplace. The more value you provide, the more money you make. If you want to achieve more success in network marketing, focus on developing skills that will help you become successful. Invest in yourself. It’s the only investment you can’t lose money on. Read more about increasing your value in network marketing. # 3 If amassing money is important to you, never listen to poor people! This is some really profound advice. Never take advice from people who aren’t qualified to give it to you. Never take financial advice from broke people. If you want to lose weight, talk to someone who has lost weight and lives a healthy lifestyle. When it comes to MLM, get advice from someone in your upline who is already successful in the business. Don’t get your advice from distributors who are failing, or aren’t doing anything to grow their business. I always tell people to be careful who you get advice from because you might end up just like them. Read more about who to take advice from. # 4 Work on your personal development every day. One of my favorite things about the MLM Industry is the personal development. Who you become in the process of becoming successful is just as important as the money you will make. It really is the best Personal Development Course in the world. Read more about personal development. # 5 Wanting something for nothing is not even a good dream. So many folks in America, and the rest of the world, want everything handed to them on a silver platter. People mistake our industry for the lottery all the time. If you want to achieve anything worthwhile in life, it will take a game plan and lots of hard work. Read more about wanting something for nothing. # 6 You cannot succeed your way to success. You must fail your way to success. I learned the concept of failing your way to success from John Maxwell, in his book Failing Forward. The truth is, most successful people end up successful because they failed more than anyone else did. They simply looked at each temporary failure as a learning experience. All you need to do is get up when you are knocked down. Read more about failing your way to success. # 7 After years in MLM I can tell you that you really can’t say just the right thing to the wrong person. It’s true that you can’t say the right thing to the wrong person, but I do believe that you can say the wrong thing to the right person. Ultimately, there are three things that will determine if your message is effective. These three things are your message, you, and the person you are talking to. Read more about communicating with your prospect. # 8 The biggest change in my MLM career came when I quit spending too much time with the wrong people. Who you spend your time with will ultimately have a big impact on what you achieve in this great industry. Not everyone on your team is worth spending one-on-one time with. Ultimately, you want to spend MOST of your time with people who are producing results and who are doing what you ask them to do. You should never spend one-on-one time with your non-producers. Train the non-producers in a group setting. Read more about who to spend your time with in MLM. # 9 For any business or job you must have a plan and start at the beginning. I think of network marketing like any other business. You need a game-plan, which is a strategy you can follow to become successful. You can’t wish or “wing” your way to success. You need concentrated effort. 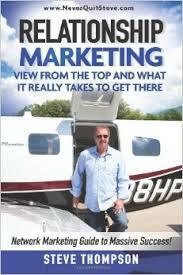 You need a business plan and marketing plan. You also need a daily mode of operations. Read more about developing a game plan for your network marketing business. # 10 There are two kinds of people you do not want to work with: lazy people and negative people. Not everyone in life has what it takes to be successful. There are certain groups of people that you should avoid like the plague, because they will do nothing but bring you down and waste your time. Avoid negative and lazy people at all costs! Read more about why you should avoid lazy and negative people. # 11 You can make excuses or you can make money. But you can’t do both! Study anyone who is successful in ANY endeavor and you will quickly discover that they accepted 100% responsibility for their success. They never passed the buck or blame to anyone else. You will NEVER meet a successful victim. It’s true, you can make excuses or you can make money, but you can’t do both! Read more about making excuses. # 12 Just as only 20% will ever look, of the ones that join, only about 10% to 20% will do very much. Selling, network marketing and business are a numbers game. Not everyone who joins your team will be excited and work and grow their business. Most people will do absolutely nothing. And it has nothing to do with you. Even if you try to motivate them and give them your system, they still won’t do anything. You simply need to work the numbers and accept reality. It is what it is. # 13 Each day you must be identifying and reaching out to help and mentor those showing leadership potential. You have to work with the right people. Don’t spend too much of your time with people who aren’t producing. You want to work with the people with the desire, who are also willing to stay in the trenches and do the work. Ultimately, you are looking to identify leaders in your organization. Read more about who to work with. # 14 People will frequently do more for recognition than they will for money. Money is a powerful motivator. Everyone wants more money. Recognition is just as powerful. Many people do not feel appreciated and they do not get recognized at home or at work. When you can praise and recognize your team, it will help improve retention and it will encourage people to work harder (for more recognition). Learn more about recognizing your team. # 15 Human nature is to band together. Humans were not meant to spend all of their time alone. It’s healthy to get together in groups and spend time with people you like. People like to hang around others who have similar interests. Spending all of your time alone is a quick path to depression or sadness. # 16 Don’t use Facebook and Twitter to try and sell. Social media is a powerful way to leverage yourself and build your business, if you do it the right way. So many reps puke their business all over people on Facebook, spamming them, posting their link on their wall, etc. Be a professional and draw people in, rather than just try to pitch everyone and anyone. Check out my tips for building your MLM on Facebook. # 17 The evening hours from 5 p.m. until 9 p.m. are the most valuable hours in your day. Most of the people on your team will have a day job, which means they can’t build their network marketing business much during the day. That means you need to work smart and be accessible at night, in the evening hours, if you want to help them grow their team. # 18 Do not spend more than 10% of your time managing, even the people you bring in. Never fall into management mode in your business. Your job is not to manage your people.They are all independent business owners and are responsible for managing themselves. Your job is to lead them and keep building a team. When you fall into management mode your business will start to die. Read more about management mode in MLM. # 19 One should always have three personally recruited consultants that deserve their time. Ideally, you want three to five people to work with at a time. If you sponsor too many folks at once you won’t have enough time to work them. Keep sponsoring until you have three to five personally recruited folks who are actively building their business and need your help. Please keep in mind you’ll probably have to sponsor 50+ people to find these three people. # 20 Never stop recruiting. It is not a start and stop process, but an ongoing daily process. When you stop recruiting you stop growing. Always look for sharp people to sponsor into the business. Make it a point to always recruit at least 1-2 new people every month, at a bare bones minimum. New blood is the lifeblood of your business. You need to lead by example and never stop sponsoring. Learn more about leading by example. # 21 Frequently the best leaders occur deep in your downline under a string of average business builders. Look for and identify these legs or team leaders. Your best team members are seldom personally sponsored. Your job is to build depth until you find leaders in depth. Once you do that you want to work closely with these people. Look at your distributor report each month to identify people in depth that are really taking the business seriously, and then reach out to them and offer them your help. Learn more about building in depth. # 22 Until you reach the highest level you should always be dividing your time between 3 or 4 legs and your recruiting time. Never spend all of your time working in one leg of your organization. Diversify and work in three or four different legs at a time. This lets you work smart and stay diversified, in case one leg crumbles. Learn more about who to work with in your business. # 23 All great businesses have a business plan. Even in network marketing you need a WRITTEN business plan. It should be a simple one to two page document that outlines your strategy, identifies your unique selling proposition and clearly states what you will do each day to build your network marketing business. Read more about having a MLM Business Plan. # 24 There is nothing more important to your success than building leadership. What you want on your team is people who are independent of you, not dependent on you. You want to spend your time finding and building leaders in depth. These are folks who will take responsibility for their own business and build their own teams, with or without you. Learn more about developing leaders. # 25 Let leaders learn to lead. Don’t micro-manage your team, especially your leaders. Don’t do anything for anyone that they could do themselves. Give people opportunities to showcase their leadership. It’s the best way to help develop and mentor them. It’s like having your own children; eventually you need to let go. # 26 Although some sales techniques are helpful, if you convince people to join you have little chance of them engaging and going to work. If you have to convince someone to join you will have to convince them to stay. Ultimately, you want people who WANT to be involved with you and the rest of your team. Find people who are looking and have the self-motivation it takes to succeed. # 27 The top earners with huge teams were usually not salespeople. Typically, the most successful people in network marketing are teachers. What you want to do is sponsor and teach. This business is not about mass recruiting. It’s about sponsoring people, and teaching and helping them become successful. # 28 Never forget that you may be just one person away from a life-changing breakthrough. One person can change your life in this industry. One good recruit can increase your income 100 fold! You never know who that person will be or when/where you will find them. Typically, you find them deep in your organization, but they can show up anywhere. # 29 I do not spend much of my time talking about products, services or sales. I spend most of my time talking about learning more, helping more and from that process, getting closer to your dreams. Your job is to uplift and motivate your team. Sure, you need to do some training. But what your team really needs is someone to motivate them and inspire them to greatness. You want to help your people work on their personal development, set new goals and stretch out of their comfort zone. # 30 Make sure that the teacher has the success to back up his or her teaching. Pick your mentor wisely. Find someone who knows what they are doing and has experienced success. # 31 Never neglect to help a team member because of his placement in your compensation plan. Work with everyone on your team, regardless of where they are positioned in your downline. Even if they are out of your pay level, you should still work with them. Help everyone, and work with the serious folks, not matter where they are on your team. # 32 The 3-Way Call is one of the most powerful tools in MLM. You should leverage your upline and sponsor whenever you can. Use three-way calls to sponsor new distributors whenever possible. This allows you to work smart and have your experienced upline help you out. # 33 Never try to sell or pitch strangers unless you need a good lesson in rejection. Your ultimate goal is to draw people in, rather than pitch people. I’ve been told that amateurs sell and professionals sort. I think that is great advice. Ultimately, you want to get people to contact you first. You don’t want to chase people at the mall, bug everyone you meet, or try to prospect everyone and anyone. Learn more about sifting and sorting. # 34 You can generate more leads than you can ever use just by getting to know people and asking for referrals. Most of us come in contact with at least 50 new people every day. All we have to do is be nice and say hello. There’s no need to ever buy leads. Work with the people you know, the people you meet and their sphere of influence and you will never run out of prospects. # 35 I recommend contacting two prospects a day. Talk to two people a day seven days a week and you would have 730 new prospects every single year. Don’t you think you could sponsor some of these folks into your business? Don’t you think you could grow your business with this many new prospects? I know you could. # 36 The members of your team that attend company events will be your true leaders. Get people to attend events. The ones that show up are serious and committed to the business. A non-committed person will NEVER attend an event, especially one outside of their local area. The more people you can get to events the quicker your team will grow. # 37 The business is as much social as it is work. People need a social outlet. The social aspect of network marketing is a very fun and rewarding to people. People want to belong to something greater than themselves. Create a team culture where people can have fun and learn at the same time. # 38 Your business and your company will rise and fall on leadership. It’s your leaders that will build your team. Most people are not leaders. Maybe three to five percent of the folks on your team will be responsible for 90 percent of your results. Look for leaders. Develop leaders. It’s time and money well spent. # 39 I have been in the industry for over 18 years and while I had some good success over the years, it was sticking around that made me a Top Earner. If you really want to succeed in MLM, you have to stick with it for the long-haul. It takes a long-term commitment to make it big. # 40 There is no free ride to success. Nothing in life worth accomplishing is fast or easy. There is no such thing as magic dust in the business world. If you want to succeed, it’s not your sponsor’s or upline’s job to help you succeed. Its’ your business and your success (or failure) is in your hands. # 41 Never let anyone steal you dreams by turning your focus to what won’t work. Lead from the front and others will follow. Avoid the dream stealers. Hang around positive people at all times. Never take advice from someone not qualified to give it. # 42 All successful business people have a system. Systems are vital to the success of any business. You don’t have to use your upline’s or team’s system, but you need a system you can follow that works for you. Without a system for people to follow, most people will fail. Learn more about my system to grow my business. # 43 Never quit working with a winner because of coding. If you find a winner in your organization, spend time helping them and coaching them, even if you don’t get paid off their results. Winners are hard to find. Building good leaders in depth gives you long-term security in your business. And if the people above them quit, they will roll up to you. # 44 Recruit up, but do not neglect people. Look for people more successful than you are. Recruit champions. Love on everyone and help everyone, but spend your time with the winners and doers in your group. # 45 Drill down for success. Work the bottom. Driving depth in your team is one of the best things you can do. When you light a fire in the basement everyone above them gets excited. Always work at the bottom most point of your team. Keep developing leaders in depth. That is what will give you long-term security. Read more about building depth. # 46 Quit chasing people. You don’t need to chase, pressure or convince anyone. Don’t want more for your team members than they want for themselves. If someone isn’t doing the work, it’s not your job to motivate or convince them. Your job is to lead by example and work with the willing. You shouldn’t chase anyone. Learn more about who to work with. # 47 Massive action over a several year period of time will change the course of your history. Rome wasn’t built in a day. Success in this industry comes down to being consistent every single day over a period of a few YEARS. Even doing a little bit every single day can produce big results. If you want to make it to the top ranks, you have to go “all in” for a few years to make it happen. Compared to a traditional career, it’s a pretty good deal. # 48 Some will find success quickly. Others will take longer, but only the quitters fail. Get excited, stay focused and never quit. The only way to fail is to quit. Don’t compare yourself with others. Everyone’s situation is different. The people you see on stage making the big bucks also have their own story. There’s a lot to their situation that you might not know about. Your journey depends on you and you alone. # 49 Nothing compares with calling people you know or meeting people in person and establishing a relationship. This business really is about relationships. Nothing beats looking someone else in the eyeballs and having a friendly conversation with them. This is known as old school MLM and it is still alive and well. I hope you enjoyed these Steve Thompson quotes from his book “Relationship Marketing: View from the Top and What It Really Takes to Get There.” If you have never read this book before I HIGHLY recommend it. I would love to hear from you. What is your favorite quote on this list? Leave a comment below to let me know what you think. Relationship Marketing is published by Pirate Publishing, LLC. It is copyright 2013. The book comes in paperback format and is available anywhere books are sold. It has 153 pages. Order a copy here. This article shares some really inspiring lessons and quotes. My favorite one from the list is “You can make excuses or you can make money but you can’t do both”. At the commencement of my new business plan, I believe these would aid me in climbing up the ladder of success as I feel completely motivated and elated. I’m glad you liked the Steve Thompson quotes. I’ve found that lots of people like to make excuses and few people accept responsibility for their actions. Those that do normally do well for themselves. Quote #9, “For any business or job you must have a plan and start at the beginning,” really resonates with me. I always make a strategic plan for everything I do- business and personally. I have found that unless I have a step by step plan for how to achieve a certain goal, I will not achieve it. I need to visually see and go over time and time again my strategy for success in order to be successful. Thank goodness for planners and business plans. It’s so true, Diamond. Most people try to “wing” their way to success. Failing to plan is planning to fail. That’s how I see it anyway.